Other blogs, travel deal sites and ourselves tend to always let you know about the awesome BeVancouver offers where you can earn gift card on stays at select hotels in Vancouver. 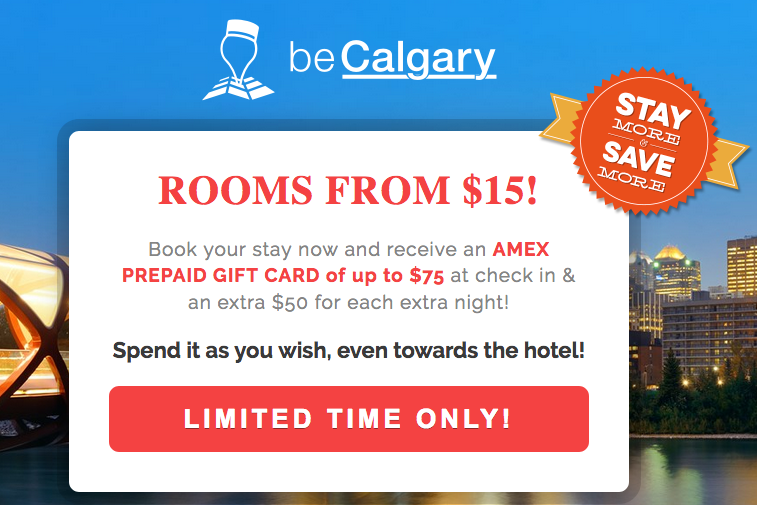 What those other sites and ourselves tend to miss are the 'be' offers for our own hometown Calgary and for Edmonton! Granted the hotel selection is way lower for this offer in these two cities than it is for Vancouver but perhaps if it picks up steam more hotels will jump on board.